CrashPlan.com: Error Message, a photo by yugenro on Flickr. 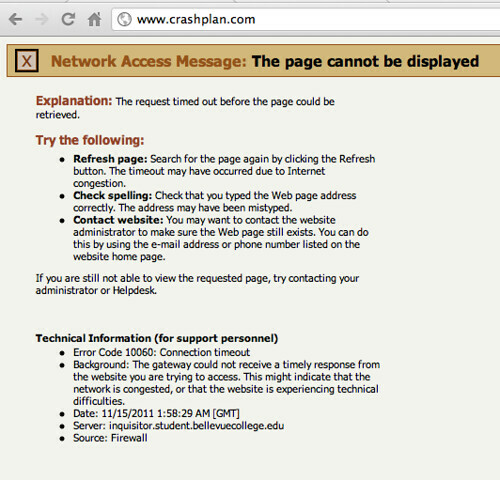 Looks like CrashPlan’s servers are experiencing disconnects… bummer. First time since I went all-out with them about 9 months ago that this has happened, afaik. What’s going on with CrashPlan.com? I’ve been unable to access the site all day, neither from a web browser nor from the CrashPlan client. HELP!! !